Japanese games can be scary, cute, weird or plain funny, but I must say gameplay is very unique and engaging. Sadly, you cannot access them via the Play Store. 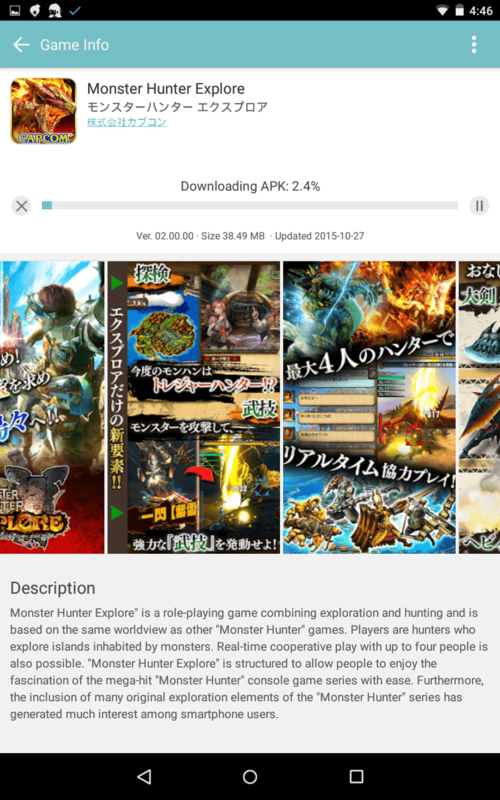 Using VPN is one way to access the Japanese Play Store, but then there are some hurdles that will make it very difficult for users to access, let alone download and install a region-locked game. 1. 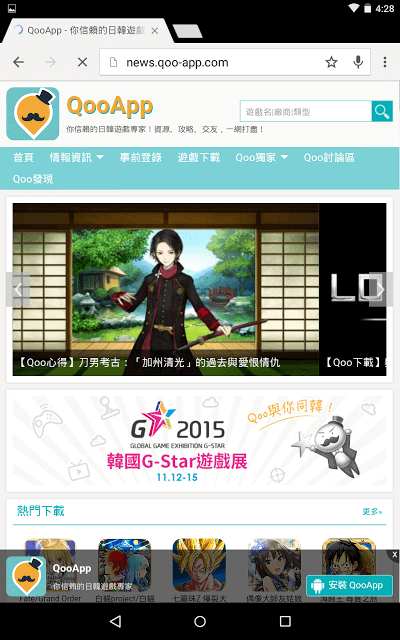 On your mobile phone or tablet web browser’s address bar, enter “news.qoo-app.com” (without quotes). 2. You will notice an adhesion or sticky unit at the bottom of the screen. Tap on the Blue “QooApp” button on the sticky unit to download the apk file. 3. Make sure you have installed ES File Explorer as you will have to navigate to the Download folder to install the app. 4. Under “Open With”, select ES Downloader to download the apk file. 5. Once it has been downloaded completely, go to ES File Explorer > Download. 6. Tap on the apk file, follow the on-screen prompts and tap on “Install”. After installing the app, tap on your device’s “App Drawer” icon (circle with six dots) and search for the installed app. Open the app. 7. On the home screen, tap on the QuoApp icon located at the top-left corner. 9. You will see a list of Hot Games. You can change this list by pressing the “Sort By” button. It allows you to filter your results by New, Trending, Weekly Ranked or region-based games. 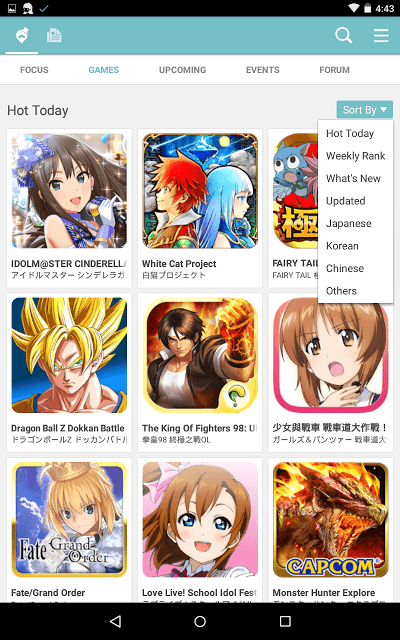 Select “Japanese” if you want the app to show mobile games from Japan. 10. Tap on a game that you wish to install on your device. Next, press the download button. QooApp will download it for you. Once the download is complete, follow the on-screen prompts and install the app. 11. 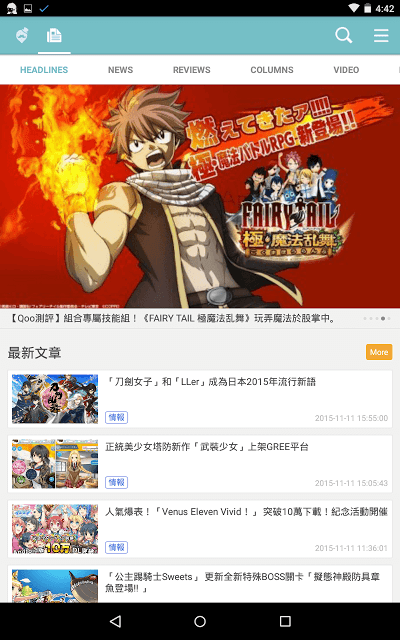 Open the app and start playing your favorite Japanese game on Android.